We're beyond excited to announce that our client, Financial Center Credit Union, received not one but two awards at the 2016 CUNA Diamond Awards. The Lucha Loans campaign developed under the direction of our creative team won the Diamond Award for excellence in Retail Merchandising. 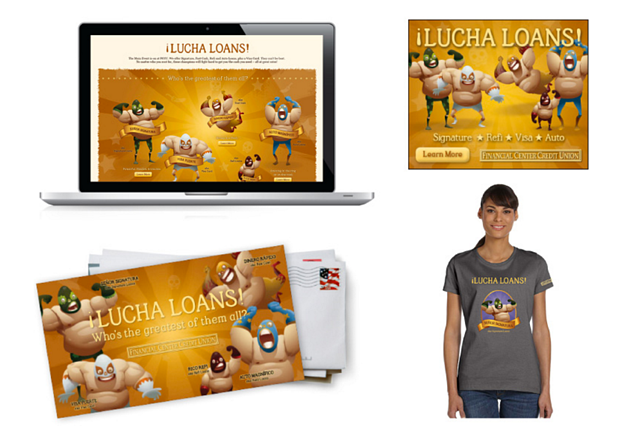 There are a lot of moving parts with this campaign and we enjoyed the challenge of creating multiple forms of POS display, posters, ATM ads, teller mats, tee shirts, decals and plush toys for both latino and non-latino audiences. 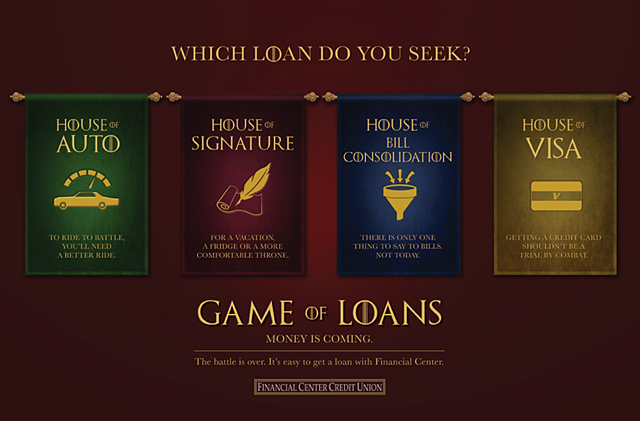 Our pride and joy, the Game of Loans campaign that recently received some attention from the official Game of Thrones show on Twitter, took home the Diamond Complete Campaign Award. The campaign resulted in a 32.99% increase in auto loans over the previous year, a 76.09% increase in Signature Loans over the previous year, and a 107.2% Visa limit increase over goal. 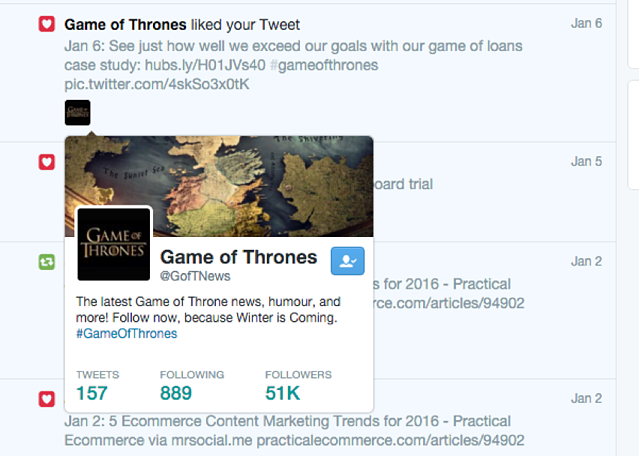 While we love getting awards, at the end of the day it's all about our clients.